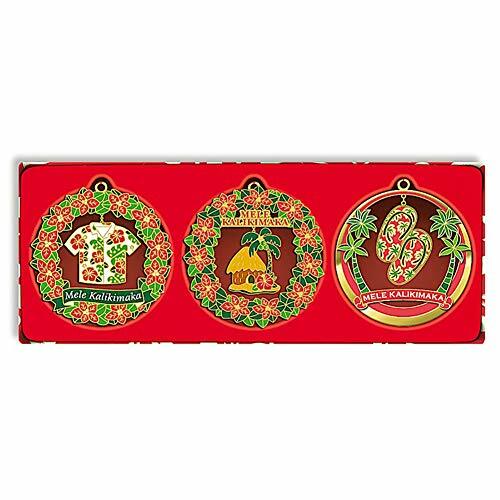 Hawaiian 3-Pack collectible metal Mele Kalikimaka ornaments. A miniature version of our bestselling metal die cut ornaments. Each measures 2″ in diameter and have one level of metal that is enameled with bright colors. Set includes: Holiday Slippers, Mele Hibiscus, Snorkeling Santa.